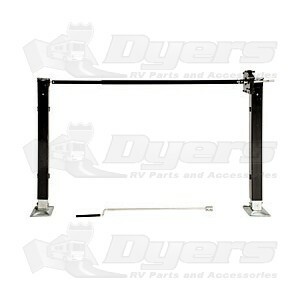 Raise and lower your Fifth Wheel with ease. Replaces Lippert, Atwood, ADTH & RBW landing gear. 1”-pin increments for use on even or uneven terrain. I have a fairly new fith wheel that one of the landing jacks failed. Ordered a new set from Dyers and it was here in less than two days. The jacks were simple to install and work great. No modificatons were needed and the motor from my old jacks bolted right up.